Cheesepalooza Feta (Ian cops out on a challenge), Crescenza, Caerphilly, Chèvre Honey Ice Cream, Oh My! 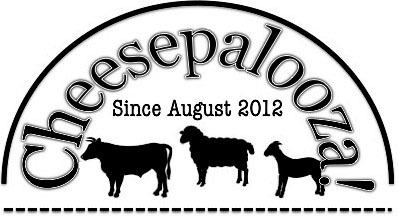 What a month, a trip out to Smoky Valley Goat Cheese to make Feta, making another Crescenza, a secret squirrel cheese (that is a post for later), and a Caerphilly lesson for Valerie and Addie. 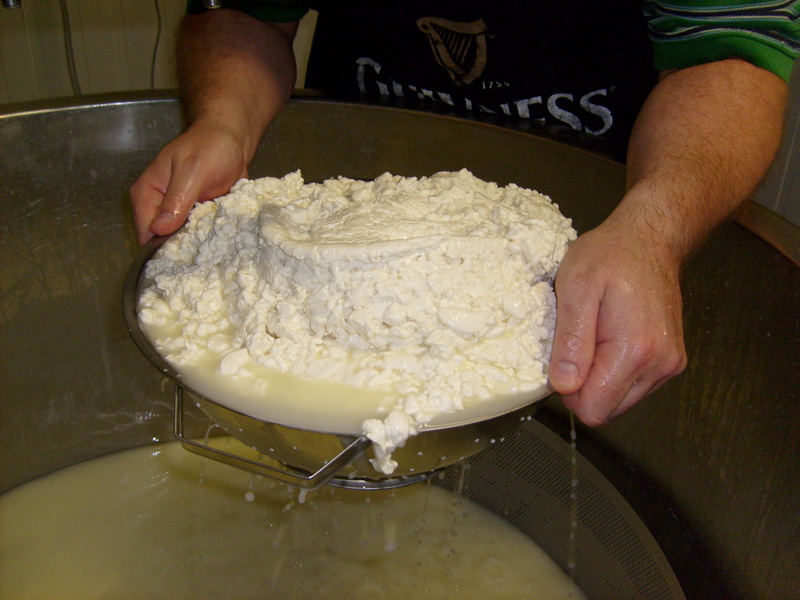 Also there has been various cheese making opportunities that been brought up to me as well, again those are something for a later post. 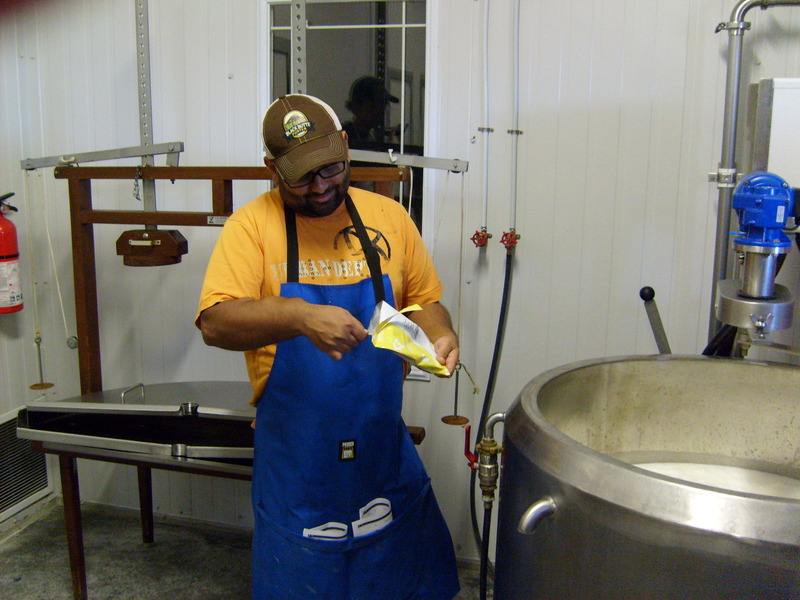 On the 9thof September, we had our first Cheesepalooza field trip out to Smoky Valley Goat Cheese, soon to be re-named Smoky Valley Artisan Cheese, to make feta with their equipment. 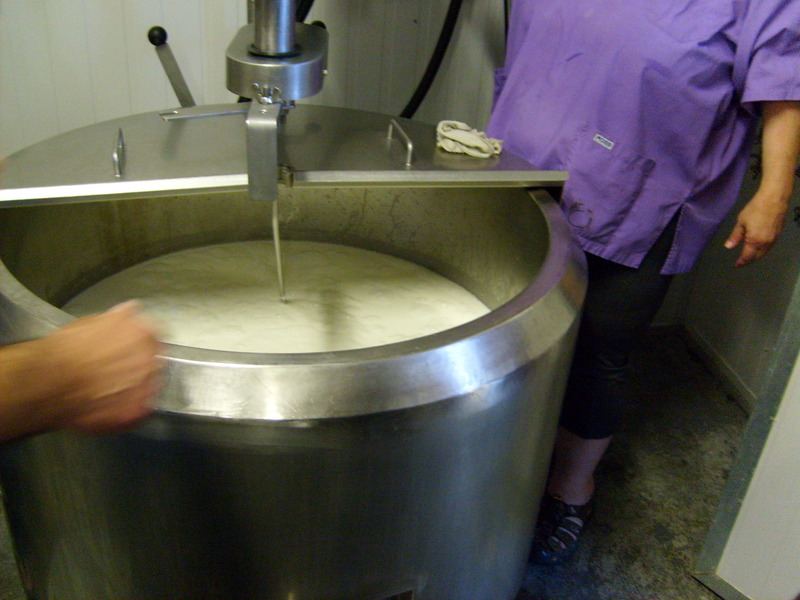 We used Mary’s recipe but on a much larger scale (150 Litres). Rather than bore you with all the repeating of the recipe but I will include it in the following series of pictures. 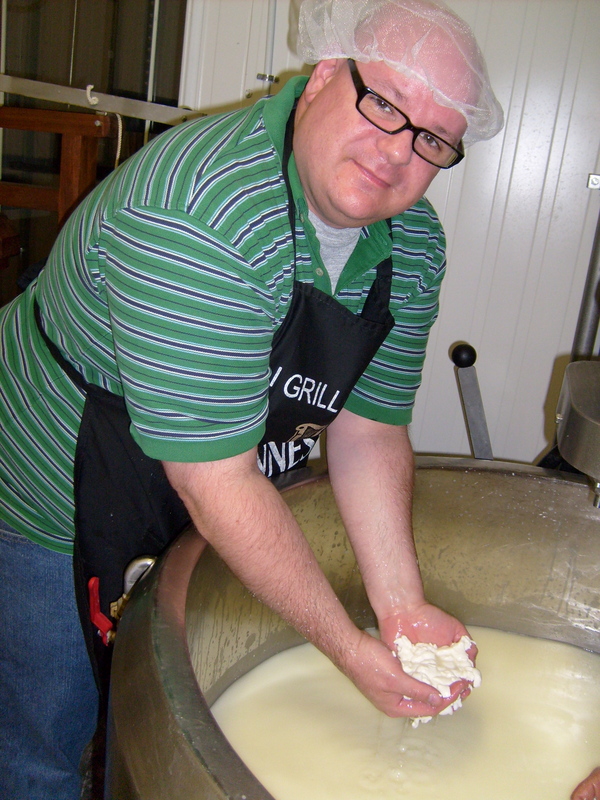 We started working the curd, also this is the only way you will get this bald guy to wear a hair-net. 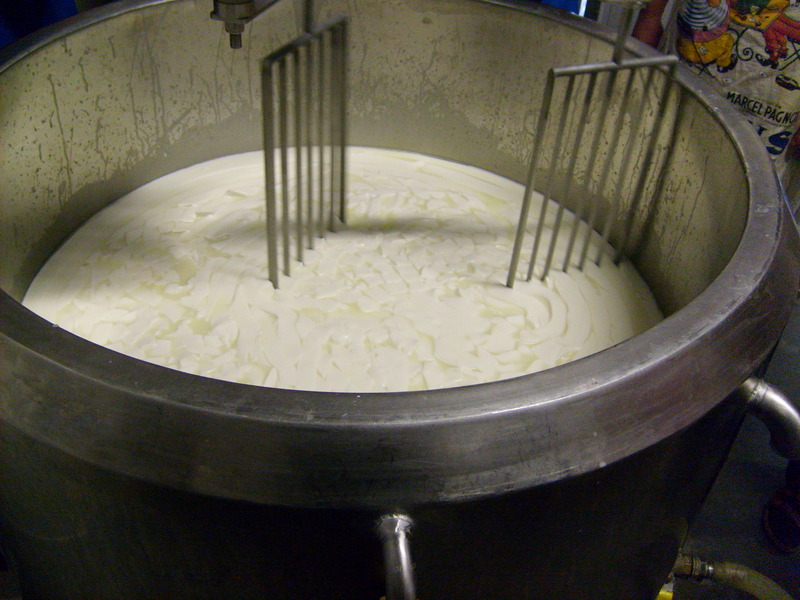 Now it was time to bring the curd to the draining table. Through the magic of television we were able to bring home two containers of Feta, 3 of Haloumi, 1 of Chèvre and a Bannon. 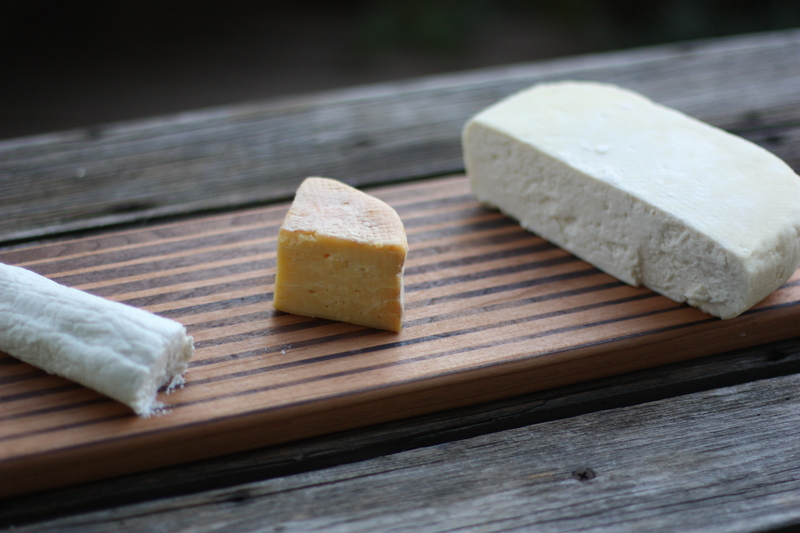 I did not make a Feta for this month’s challenge, as we don’t use feta that much at home. 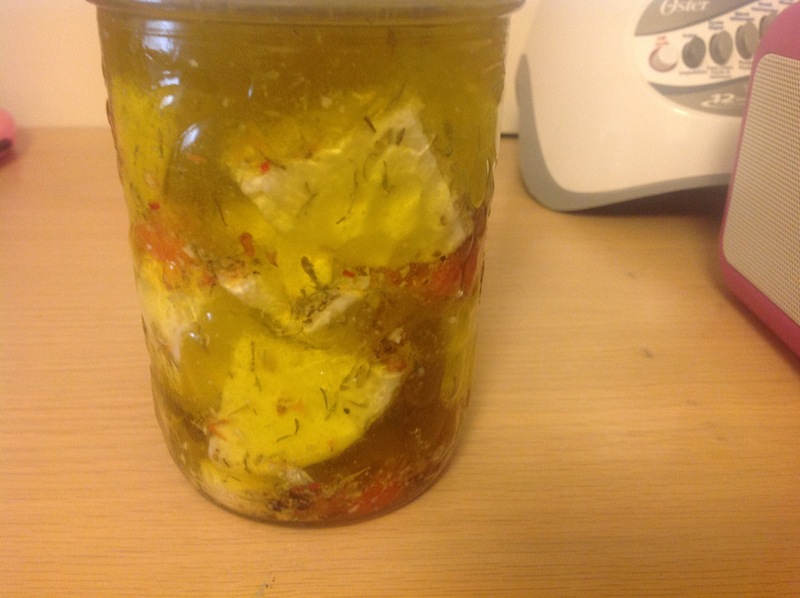 I made a marinade of olive oil, roasted red pepper, peppercorns, chili flakes and garlic. Mild (mellow) to Robust to Pungent (stinky): You get a mid goaty flavour but the marinade does cut it. Mouth Feel: (gritty, sandy, chewy, greasy, gummy, etc. ): a firm texture but the marinade is starting to soften the cheese with out having it break down in the oil. Now I made another Crescenza, and this time I had a better set and the curd did not shatter. 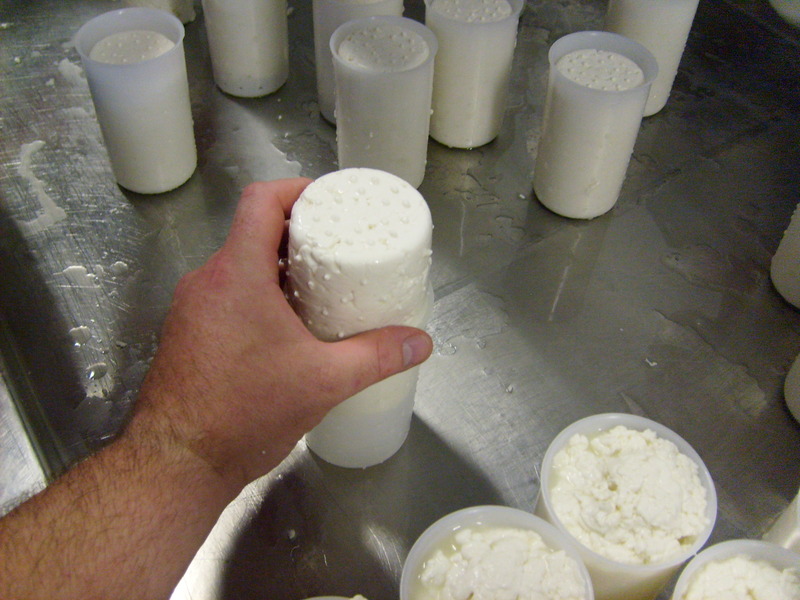 It was a joyous event to have decent size curd and have it go into the mould in hope of having a proper cheese. I made it for the tasting we had on the 28th of September. This time I let a rind develop, the flavour was still the same and it was generally a hit. I brought a Chèvre that I had made, but previously frozen, to compare with the other Chèvre that our participants had brought, mainly to see what would happen to the texture and taste. I brought on of the final pieces of my Faux-ka (my attempt at replicating an Oka style cheese) it was well received. I am still working to get that one “right” but it is still good. I did not take any pictures from the tasting so the ones below are to be credited to Valerie from www.acanadainfoodie.com who was our host. On Saturday after the tasting Addie and I were back at Valerie’s place for a cheese making session. I shared my version of Caerphilly with them. I am sure they will post it on their blogs as I have done several versions of Caerphilly on mine. It was a good day and I believe they learned a lot, and as a bonus I learned how to grill a pizza on the BBQ. Well that is all for now, I hope you enjoy making feta. 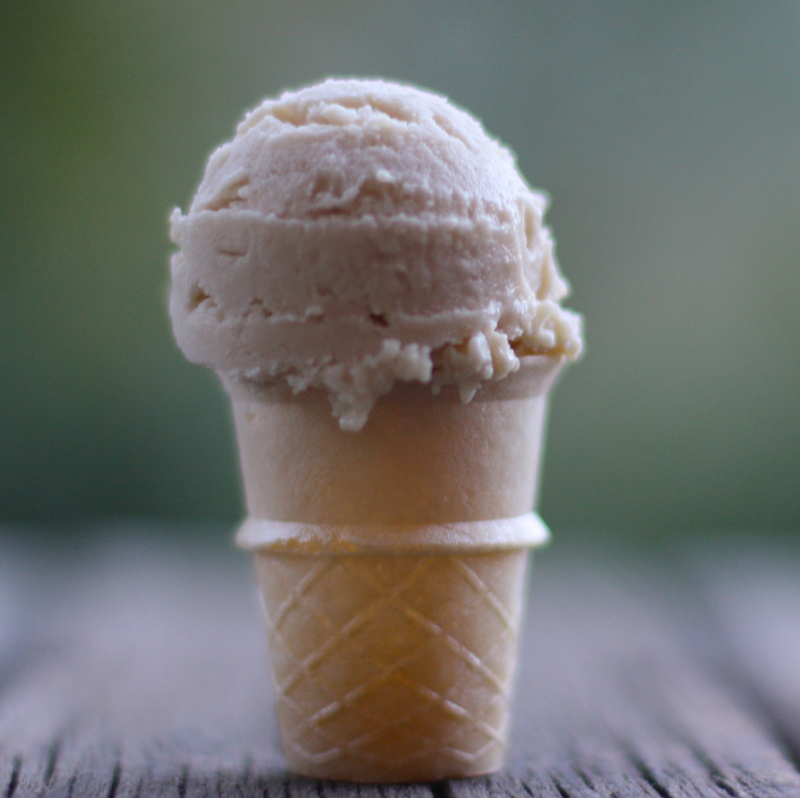 No I did not forget the Chèvre Ice Cream, here is the recipe, but first the back-story. I wanted to use some of the fresh cheese that I have, and there is a lot of it to use, so I had heard of ice cream made with certain cheeses. 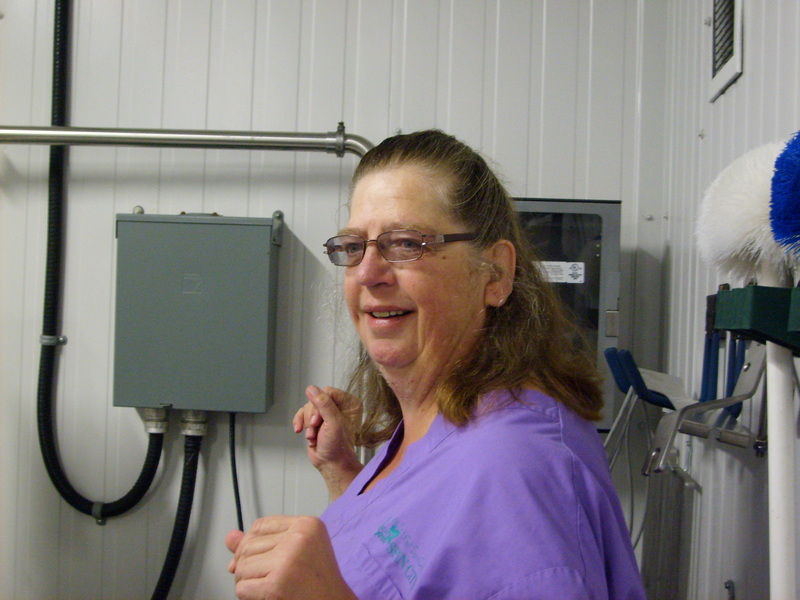 Chef Lynn Crawford had made a goat cheese ice cream on her show “Pitching In” and I thought that would be something I could make. So to the Internet I went and cobbled together this recipe. To say it was a hit with the guests at the tasting would be an understatement. I forgot the recipe on my desk at home so I did not have it with me at the tasting. Here it is. 1. Put room temperature eggs, cream, milk, chèvre and honey in a food processor and mix until smooth and creamy. If mixture is not sweet enough or to “goaty” for your liking, then add the sugar and mix again. 2. Now take the mixture and put it in a bowl on a double boiler and heat mixture, while stirring, until it has the consistency of runny pudding. Take off the heat and place in a non-metallic bowl. 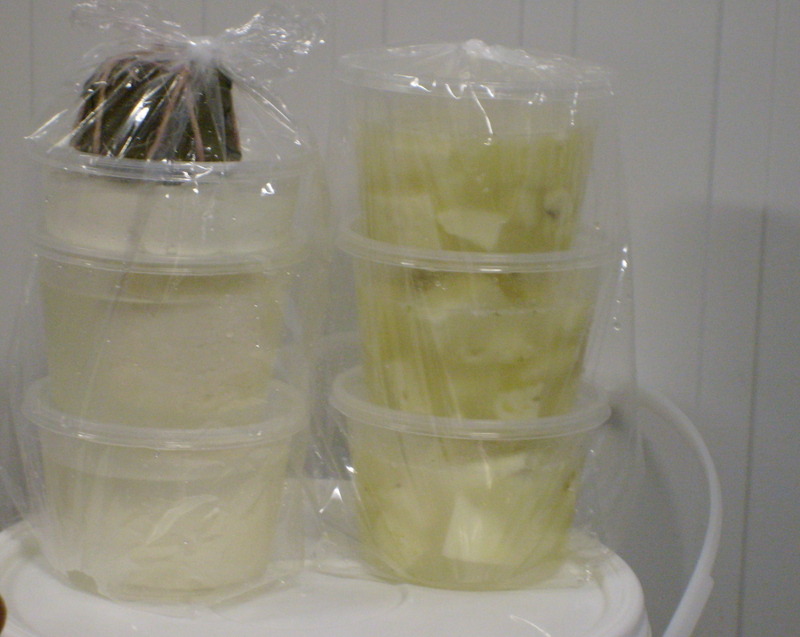 Cover with plastic wrap, placing it directly on the surface of the mixture as to not form a skin, and place in fridge for 4 hours or over night. 3. 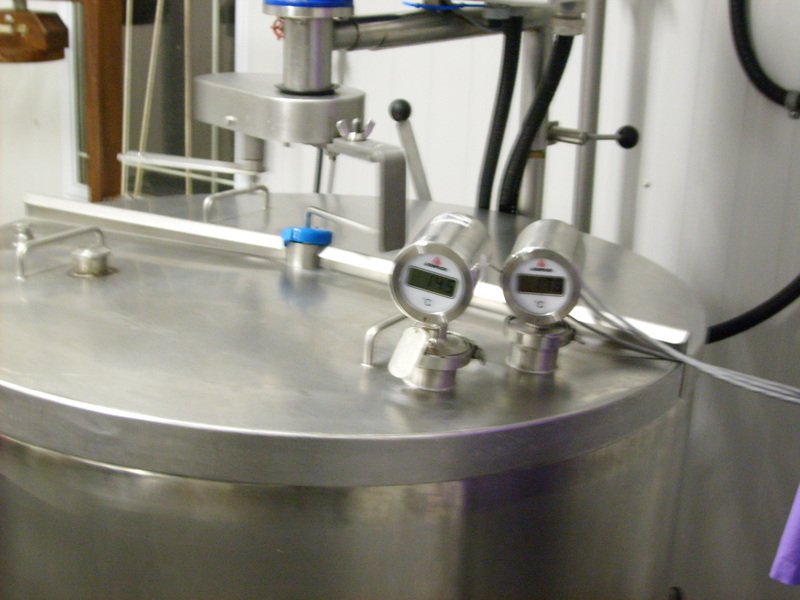 Now put into your ice cream maker and make your ice cream as to the machine’s instructions. Then put into freezer. Ok now go and make some cheese. How could anyone ever call all that a copout? That ice cream was DEADLY delicious! You are my hero all the way and in everything cheese!!! 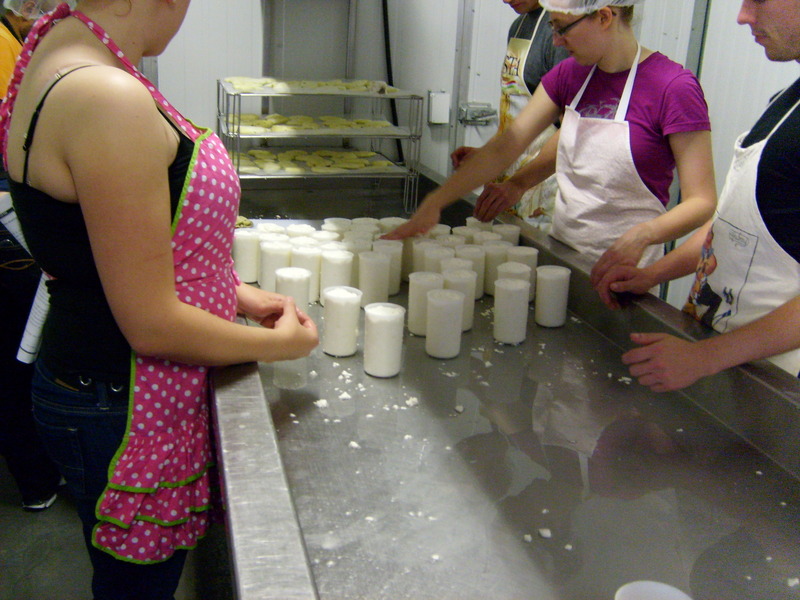 It was an amazing experience, It made me feel like a “real” cheese maker. I have been lucky to have been invited back to help out. It is a dream come true. The Ice Cream was amazing, I had my son try it, he loved it until I said it was goat cheese ice cream.